Emerson on September 8th celebrated the opening of The Helix Innovation Center at Georgia Tech, a new collaboration and innovation space located in Technology Square. The site expands Emerson’s global network of innovation facilities focused on climate solutions, including The Helix Innovation Center at the University of Dayton in Ohio, The Europe Solution Center in Aachen, Germany, and The Emerson Innovation Centre in Pune, India. 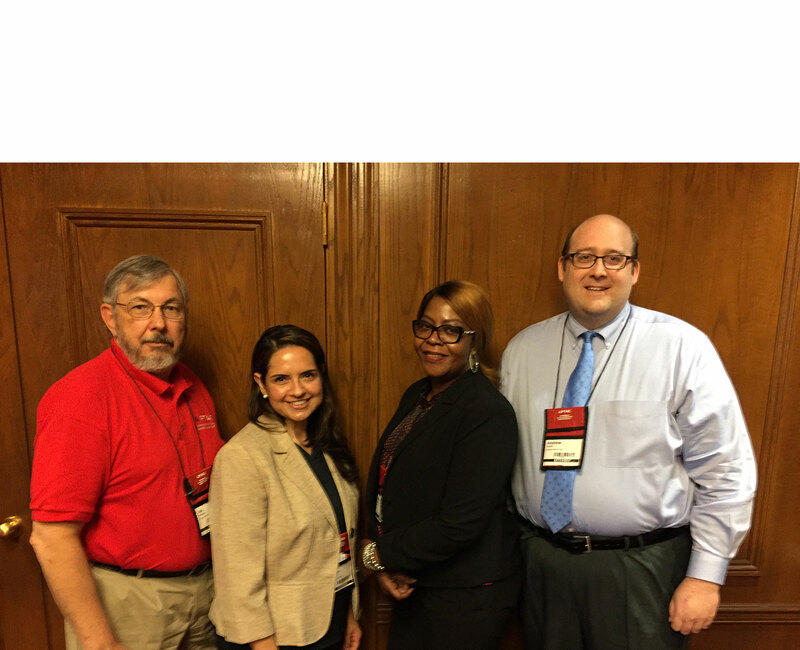 Emerson executives joined by Georgia Institute of Technology President G.P. “Bud” Peterson officially open The Helix Innovation Center at Georgia Tech in Technology Square. The new site expands Emerson’s global network of innovation facilities focused on climate solutions and will serve as the focal point of Emerson’s development and collaboration on big data and Internet of Things concepts. Emerson is among the more than a dozen corporations that have either opened or announced innovation centers in and around Tech Square. “Our investment in this collaboration and innovation space is a key part of our strategy to build relationships with academics, students, technology leaders and entrepreneurs. We want to create the right environment and culture for innovation to address industry challenges and better serve our customers,” said Mark Dunson, group vice president of electronics & solutions for Emerson. The Helix Innovation Center at Georgia Tech is a nearly 1,600 square-foot facility, featuring the latest technology for effective in-person and virtual collaboration. 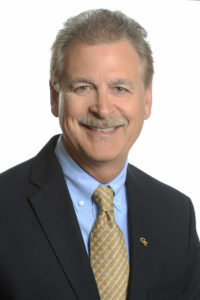 Georgia Tech President G.P. “Bud” Peterson welcomed Emerson to the Tech Square community and recognized the company as one of the world’s powerhouses in the electronics industry. Over the past couple of years more than a dozen corporations have opened or announced plans for innovation centers in Tech Square to access the talent and technologies that exist at Georgia Tech. Emerson will leverage a variety of projects to explore solutions to customer problems through The Helix Innovation Center at Georgia Tech. Early projects already completed include multiple industry and product ideation sessions, reviews of new technology and entrepreneurial concepts, early development of advanced components for Emerson building management systems, and student engagements in research projects and prototyping product concepts. 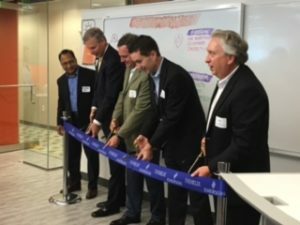 Emerson will employ approximately a dozen people in The Helix Innovation Center at Georgia Tech; roughly half will be employees who rotate through from other Emerson locations. Emerson employs more than 200 management, engineering, technical support, sales and manufacturing associates at its Kennesaw location, which focuses on serving the retail supermarket, convenience store, refrigerated transport and foodservice industries. At The Helix, Emerson focuses on HVACR industry markets (Heating Ventilation Air Conditioning and Refrigeration), including: supermarket refrigeration, food service operations, residential connected homes, data center cooling, industrial refrigeration and light commercial buildings. 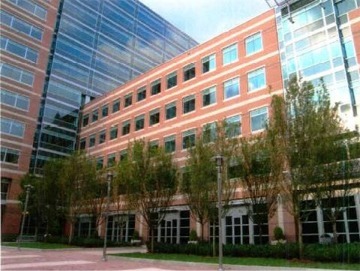 The Centergy building, located at 75 Fifth St., NW, in Atlanta is home to CDAIT. Amazon Web Services will be represented on the CDAIT EAB by Mark Ryland, chief solutions architect, World Wide Public Sector Team, AWS. CDAIT has also launched four new working groups tackling education, chaired by Margaret Loper of the Georgia Tech Research Institute (GTRI); startup ecosystem, chaired by Tech Square Ventures’ Blake Patton; thought leadership, chaired by Cisco’s Scott Puopolo; and research, chaired by Kenji Takeuchi of Flex. 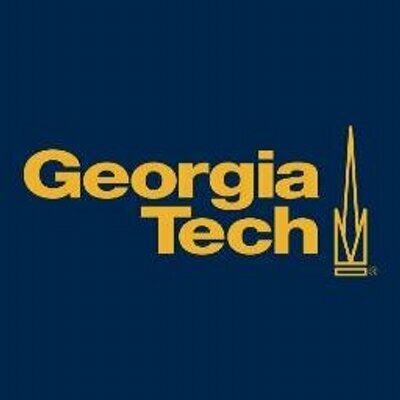 The Executive Advisory Board is scheduled to meet Dec. 7, 2016, at Georgia Tech in Atlanta. CDAIT (pronounced “sedate”) is a global, non-profit, partner-funded center located in Atlanta that fosters interdisciplinary research and education while driving general awareness about the Internet of Things (IoT). It aims at efficiently identifying, understanding and solving for its sponsors challenges and problems that may arise along the whole IoT value chain. CDAIT bridges sponsors with Georgia Tech faculty and researchers as well as industry members with similar interests. To learn more about CDAIT, visit www.cdait.gatech.edu. Join Georgia Tech faculty members Martin Savelsbergh and Natashia Boland to learn how Savannah’s multimodal supply chain can enable optimal use of resources while being more efficient and cost effective. From rail, ship, storage, and truck, Georgia Tech’s professors will make innovative freight logistics ideas relatable to industry in Southeast Georgia. Attendees will hear how trends in freight logistics optimization affect local supply chains. This latest “Learners & Leaders” session will take place on August 18, 2016 at the Georgia Tech-Savannah campus. Breakfast and networking begin at 7:30 a.m. The program will run from 8:00 to 9:30 a.m. The cost of the session is just $15. Effective coaching and mentoring doesn’t follow a one-size-fits-all strategy. Each person has different skills, experiences, motivations, and professional and organizational circumstances, so perceptiveness and adaptability are paramount. In this session, you will learn about these guidelines as well as common considerations and roadblocks. Kevin Jackson, founder and president of EnviroVac Holdings, LLC, will share coaching stories and tips. David Paddison, president of Seacrest Partners, Inc., will discuss the power of mentoring. Those who are middle and upper management professionals who work for mid- to large-size companies, as well as those who are about to transition to management roles, will benefit from this session. As an entrepreneur or business owner, you know the key to success is innovation. But moving from beyond the buzzword to actually implementing creative and successful ideas involves more than creative minds and good luck. This session will teach you about this iterative process and the history, and you’ll hear three local entrepreneurs talk about their visions, struggles and recommendations. Presenters will include Howard Morrison, advisor to entrepreneurs and catalyst for community development; Blake Ellis, CEO and founding partner of CommerceV3; and Yvonne Jouffrault, founder and chief product nerd at Tour Buddy Apps and entrepreneur-in-residence for the Advanced Technology Development Center, a technology incubator at Georgia Tech. Entrepreneurs, creative thinkers, middle and upper-management professionals who work for mid- to large-size companies, as well as those who are about to transition to management roles, will benefit from attending. The Internet of Things (IoT) — such as connected devices, vehicles, buildings, appliances, and wearables — is a network of physical objects that is discussed constantly in the technical community. However, most business leaders know little about it. During this session, presenters Russ Clark, co-director of the Georgia Tech Research Network Operations Center, and Bill Eason, research scientist at Georgia Tech’s Institute for People and Technology, will demystify IoT for you. They’ll describe the incredibly rich, real-time customer and business operations data you can gather, as well as highlight fundamentals of IoT that organizations must think through. Professionals from small to mid-size businesses interested in how mobility and the Internet of Things can transform their business operations will benefit from this session. Visit pe.gatech.edu/savannah-campus/courses/learning-series to register for any of these sessions. The Enterprise Innovation Institute (EI2) is the Georgia Institute of Technology’s chief business outreach and economic development organization. EI2’s core mission is to provide an exhaustive suite of programs to assist business, industry, entrepreneurs, and economic developers across Georgia. As the nation’s largest and most comprehensive university-base program of its kind, EI2 helps enterprises of all kinds and sizes and across all sectors improve their competitiveness through the application of science, technology, and innovation. In addition to the GaMEP, EI2 houses a diverse group of programs, each focused on the needs of business and economic development. 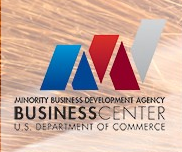 The programs include the Advanced Technology Development Center (ATDC), the Georgia Tech Procurement Assistance Center (GTPAC), the Minority Business Development Agency (MBDA) Center, the Southeastern Trade Adjustment Assistance Center (SETAC), VentureLab, and a variety of other programs that provide support and assistance in the areas of commercialization, entrepreneurship and business services. For more information, please visit innovate.gatech.edu. The Georgia Tech Foundation Inc. (GTF) has reached an agreement to purchase the historic Biltmore on West Peachtree Street in Midtown Atlanta from an affiliate of Novare Group for an undisclosed price. The Georgia Tech Foundation has reached an agreement to purchase the historic Biltmore on West Peachtree Street from an affiliate of Novare Group, officials announced June 13, 2016. William Candler, son of Coca-Cola magnate Asa Candler, was the local financier behind the Biltmore project, purchasing the land for the hotel in 1921 with his proceeds of the sale of the Coca-Cola Company and incorporating the Atlanta Biltmore Hotel Company in conjunction with the New York-based Biltmore hotel chain. The Atlanta Biltmore opened in 1924 and served as the cultural and social center of Atlanta for decades. The Biltmore fell into disrepair in the 1980s when it was closed for a failed conversion into apartments. 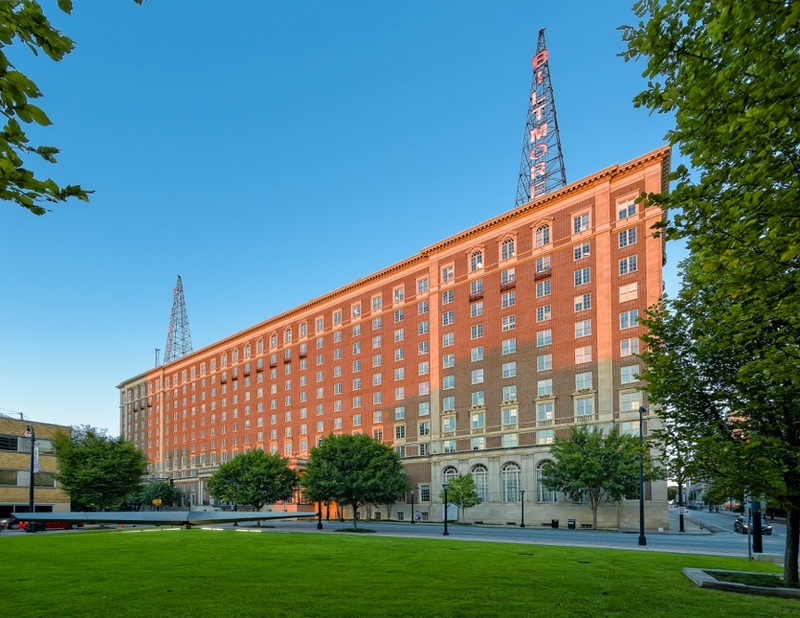 Novare purchased the property in January of 1998 and adapted the building into loft office space, and the elegant ballrooms that were a part of the original Biltmore were restored to their former glory. The building, which has approximately 290,000 square feet of loft office, retail and ballroom space, is directly across West Peachtree Street from Technology Square, a multi-block part of the Georgia Tech campus that is home to the Scheller College of Business, the Georgia Tech Hotel and Conference Center, the Georgia Tech Global Learning Center, the Advanced Technology Development Center and the to-be-developed High Performance Computing Center, now known as “Coda.” The Georgia Tech Foundation has worked with Georgia Tech over the past 15 years to develop Technology Square. The Biltmore is occupied predominantly by engineering firms, energy companies and late-stage technology startups. The largest tenants are Pindrop, SouthStar Energy Services and Kimley-Horn and Associates. The acquisition does not include the Biltmore Residences, which are privately owned condominiums. Meet Martin Pleyer – he led the team in Coweta County to get the first German Apprenticeship Model approved in both Georgia and the United States. Martin Pleyer got his first taste of manufacturing as a teenager, when he chose to work in the industry as part of his apprenticeship program, in which every teen in Germany required to choose a path, and has continued to work in the industry since. Five years ago Martin and his family moved to the United States for an opportunity to work at Grenzebach Corporation in Newnan, Georgia. He quickly noticed that a quarter of the plant floor workforce would be retiring in the next five years. Having immediately gotten involved in Coweta County, he used his influence in the community to garner interest from partners and other manufacturers to help develop a similar apprenticeship program. In 2015, Georgia lawmakers enacted Senate Bill 2, allowing for the apprenticeship model to take place in the states. And on May 16th, Lt. Governor, Casey Cagle, officially launched the first path, Industrial Mechanic, in this apprenticeship model, termed Georgia Consortium of Advanced Technical Training (GA CATT) Program, allowing high school students the chance to work in manufacturing 80% of the time, while attending school 20% of the time, but still graduating on time, while earning technical college credit, and gaining hands-on experience working in industry. Read Martin’s story and view his video as he takes you through his journey to launch the first German apprenticeship model program in the country and discusses how it can be replicated across the state of Georgia. Don’t miss the Advanced Technology Development Center’s event of the year — the Startup Showcase. The Georgia Tech ATDC Startup Showcase is the nexus for entrepreneurs, investors, and tech leaders, all converging to see more than 50 promising startups showcase their technologies. 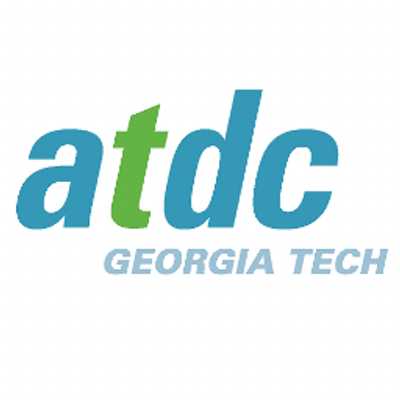 Honored at the event are ATDC’s Signature companies that will be graduating out of the startup incubator program. Expected to attend the event are more than 800 investors, corporate partners, entrepreneurs, and researchers who will converge to discover the most promising and emerging technologies, network with each other, and forge new relationships and partnerships. Georgia Tech’s ATDC, through its programs and outreach efforts, works with technology startups across Georgia to help them develop into sound, sustainable businesses that are scaling up, creating high value, and high-quality jobs in Georgia and beyond. Help spread the word about Atlanta’s premier technology startup event, and receive a 20% off Coupon Code from Registration – click here.